Beauty Test Dummies: Have you tried a beauty box? The market seems to be flooded with beauty boxes these days. For a flat fee, you can get a box delivered each month full of a certain kind of goodies. I am super-curious about these beauty boxes. Has anyone tried one? Which company did you select? Please share your experiences with us here. Also I have put together a list of some of the most common boxes out there for you to check out yourself. For $20 you get at least $40 worth of nail products each month. I am testing this one out while they have a special to get your first month for $1. (Hopefully I will remember to cancel the auto-renewal if I don't like it.) You can try it here and use code SHAREONFEB to get the $1 deal this month. Check out the sample box from The May Issue. And I plan to share my box with you all when I get it. For $10 a month you can get a random assortment of beauty samples. The site is open by invite and the sample are supposed to be deluxe sizes. This one gets pretty mixed reviews; whether you like each box or not probably depends on your taste. Check out the site or send a box as a gift here. 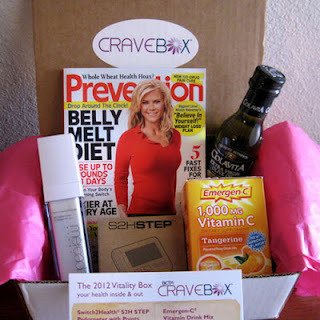 See Ya Melissa shared her October box. This box is also $10 per month and has beauty and other products inside. Recent boxes have included pedometers, pens and Emergen-C. This one is pretty new (the website still has a "beta" notation) but you can check it out here. The January Cravebox was "ho-hum" says A Mom Less Ordinary. I am sure there are even more of these I have not mentioned. What have you tried? Are there any beauty kits you can recommend?